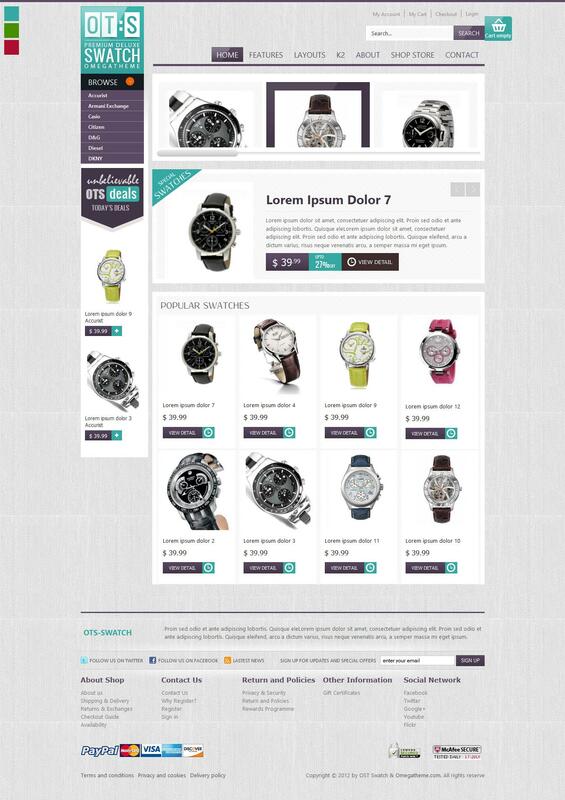 OT Swatch - powerful and functional template online store, from a professional studio OmegaTheme. Template designed based on the VirtueMart component 2.x and fully adapted to the online store creation, with the ability to insert blocks of text and banner ads. Utilizes the latest web design with visual rotators goods. Is based on a functional platform Solid Framework, which provides fast loading pages, added support for content management manager K2, has optimized the code and support mobile devices.